Every year the a section of the Bronx River Parkway from White Plains to Scarsdale Rd, Yonkers gets transformed into an outdoor free for all. 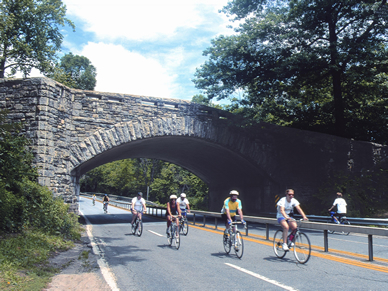 The parkway is closed to cars from 10am-2pm and open to bicyclists, joggers, walkers, scooters, and any other form of physical movement. The entire course clocks in at 13.1 round trip miles. If you missed Biking this year your last chance is this Sunday!